Slice prosciutto piece in half creating two long thin pieces. 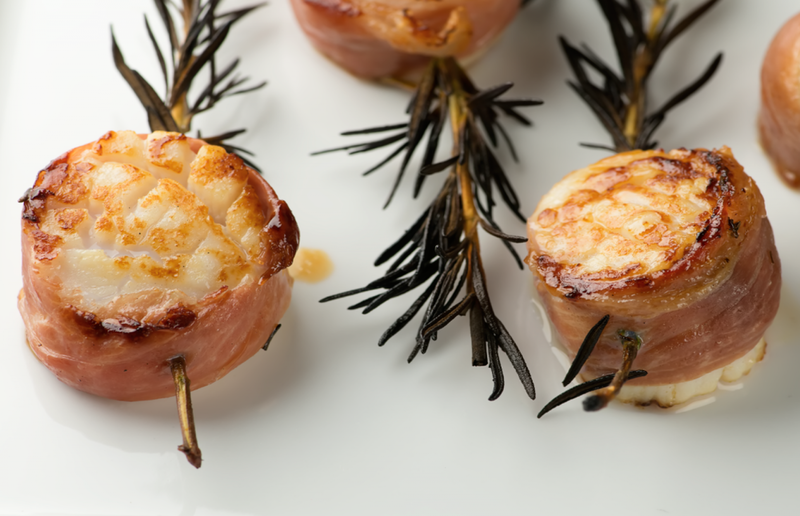 Wrap on prosciutto slice around edge of scallop and thread scallop onto rosemary sprig. Brush scallops with extra virgin olive oil on both sides and lightly dust with salt and pepper to taste. Squeeze fresh juice from lime over the tops of the scallop. Put scallops onto the grill and grill for about 3 minutes per side, until they just start to turn golden. Remove and arrange on platter with fresh lime and lemon wheels. Simple, elegant, and so easy to make! Always remember… You Can Do It!